Delivery time: UK Standard Delivery is usually between 2-4 Days of accepting order. 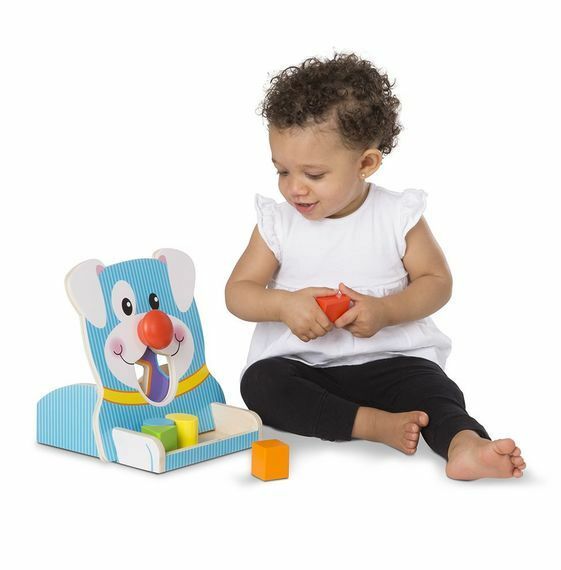 This is the perfect toy when kids are hungry for hands-on play! 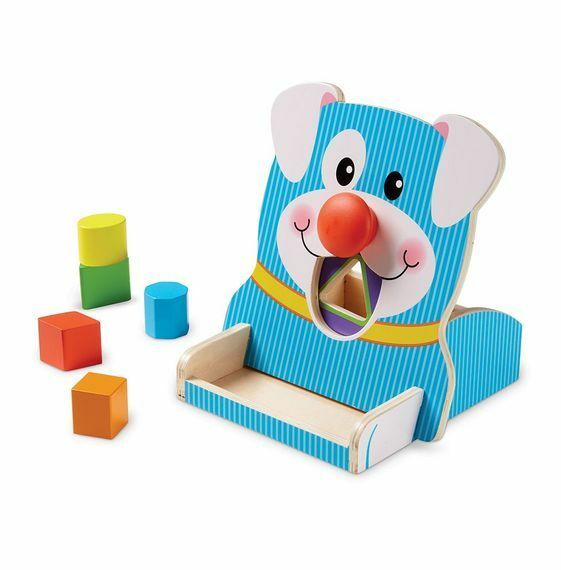 Spin the playful puppy's nose, then "feed" it five colourful wooden shape blocks! Babies and toddlers 12 months and older will delight in sorting and stacking the smooth, solid wood pieces that store in a tray behind the puppy. 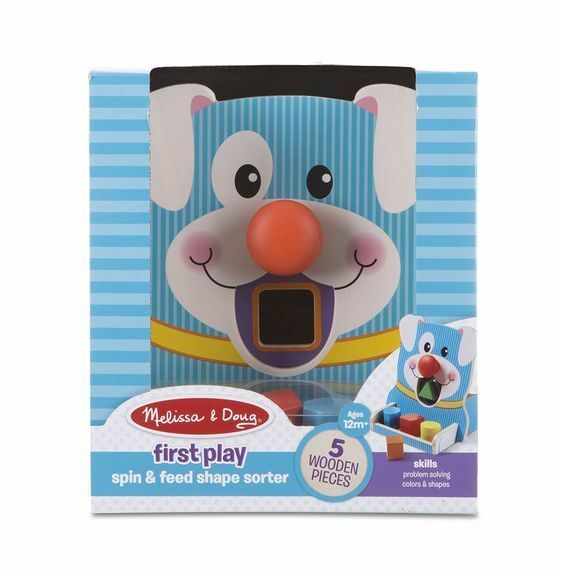 First Play toys feature bright colours, bold patterns, and whimsical designs that boost skills while sparking imagination and wonder - right from the start! We are Celebrations and Toys, a family ran, enthusiastic, traditional toy shop and home to a large range of fairies and fairy garden accessories. 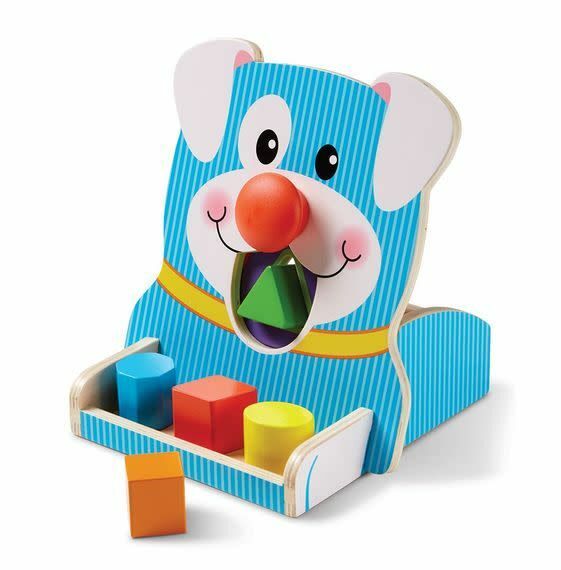 We specialise in wooden and plush toys, suitable from birth. We have a retail shop at Stonham Barns.